We'd like to offer the residents of Lake Highlands (Dallas), Texas a great opportunity to demonstrate your pride in our great country while supporting scouting in Lake Highlands! What: The Lake Highlands American Flag Project. A neighborhood community service project focusing on community pride and a love for the United States of America. Why: To show our Patriotic spirit and help Lake Highlands Boy Scout Troops/Venturing Crews 707 and 719 raise funds for campouts, summer and winter camps and equipment. When: Six deployments per year: President’s Day, Memorial Day, Flag Day, 4th of July, September 11 and Veteran’s Day. Flags are posted at dawn and removed at dusk on these days. will place a 3x5 foot American Flag on a 10-foot pole in front of each house located in the grass outside the sidewalk uniformly positioned throughout the entire block. When: Six deployments per year: President’s Day, Memorial Day, Flag Day, 4th of July, September 11 and Veteran’s Day. Flags are posted at dawn and removed at dusk on these days weather permitting. 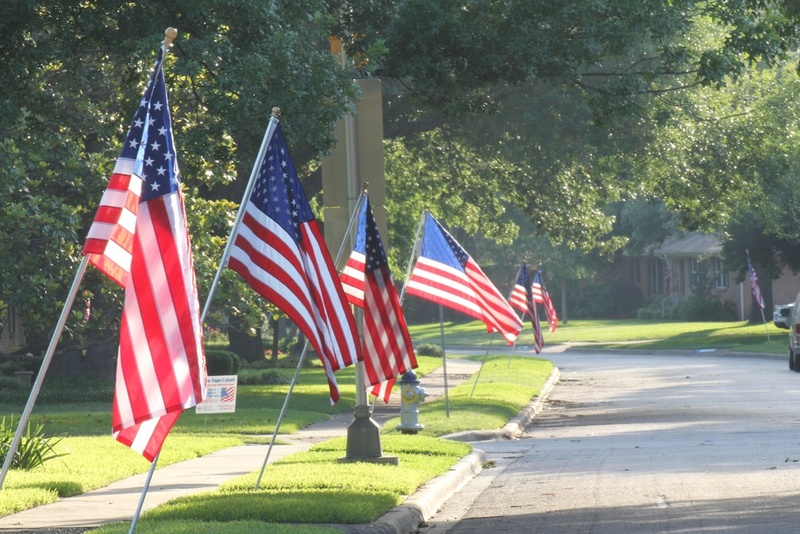 Where: The Lake Highlands American Flag Project will place a 3x5 foot American Flag on a 10-foot pole in front of each house located in the grass outside the sidewalk uniformly positioned throughout the entire block.